" During our travels we personally found that Angkor Wat was comparable, (if not better) than the much talked about and promoted Egyptian Pyramids and Peru's Machu Pichu. " I wish to thank you for the good service we had during our stay in Siem Reap. Our guide was very effective and kind. Please pass him our best regards. Thank you very much again for your tour guide services for two days during my trip with my niece to Siem reap in January 2016. The Kulen restaurant you brought us to was very good. Please also thank Chet too for his friendly tour guide service on the third day too. Myself and my friends would like to thank you for the great service you provided during our stay in Siem Reap. Your suggested itinerary was perfect for our needs, you knowledge and sense of humour during the 2 days really made our trip memorable. I will be recommending your services to anyone I know who visits Siem Reap. We have just spent 2 days being shown many of the famous temples around Siem Reap, Cambodia, by wonderful San Park. Of course Angkor Wat was the highlight. But Park was able to share his first hand family knowledge of life during the Khmer Rouge atrocities of the 1970s. His knowledge of 1200 years of his country's history was fascinating. Friendly and very professional. I thoroughly recommend Park as a guide. Dianne Guille O'Neill — 1 starPark was knowledgeable, patient and lots of fun. Thank you for 2 great days, an experience we will never forget! I'm back home, thank you to all the people I met during this incredible aventure, it was AMAAAAZING ! I miss you all my friends, see you soon ! Set my alarm for 4:30am. And yeah, it's worth it. Once again in Cambodia, yeah!!! — feeling fantastic with Park San at Beng Mealea. My wife & I spent five very fully daysvisiting to Angkor Temples aroud Siem Reap with San Park our guide &driver. Mr San ( in Cambodian & Chinese the surname comes first), proved tobe very good value in cost for his services as driver & guide. He was alsovery flexible & easy in accommodating to our needs in terms of sights wewished to see & / or time we wished to spend walking the numerous templesites which can be hot & very humid in forested areas. A big plus for Mr San is that he will enable 3 non consecutive days of templetour around the Ankor area, whereas most other guides will only take 3consecutive days which limits your choice in time to experience other aspectsof Siem Reap & other places of interest. We had a wonderful time beingguided by Mr San who had good knowledge of all the temples & places wevisited. He is good at dodging the crowds & advising on the best places toget good photo shots from. This includes his advice on dawn & sunset photoshots. He is also knowledge in bringing you to lunchtime places to eat whichare reasonable in price & give good & tasteful dishes. We had afantastic & enjoyable time in Seam Reap thanks to Mr San who is not only agood guide & safe driver. He has a good sense of humour which comes outduring his guide of the temples. But you have to be there to experience that!! So go & meet Mr San & enjoy Ankor in the comfort of air conditionedcar, free bottled water & wonderful company. Thank you Mr San, we wish you & your family good health, happiness &prosperity. Jane Kelly added 18 new photos — with Gabriela Frohlich and Park San at Preah Vihear Temple. Day 4 temple tripping, Sunday. We were taken to the border of Thailand by our guide Park San and then up a mountain on the back of a ute, driving up 'dancing' roads to Prasat Preah Vihear where we has some spectacular views of Cambodia. Next we went jungle to Beng Melea which would be my fave temple I think! Excellent day! Thank you so much San park. You made our vacation perfect. All the best to you and your family. I'll come with my baby boy next time and pls be our guide even if you become the boss. — feeling thankful with Park San. My parents and I visited Preah Vihear Temple inFeb 2015. The temples are very beautiful, there are a number of very finecarvings. The scenery is amazing, at the top of a cliff. It's definitely worththe drive from/to Siem Reap. We spent one night in a hotel a few kilometersfrom the temple. 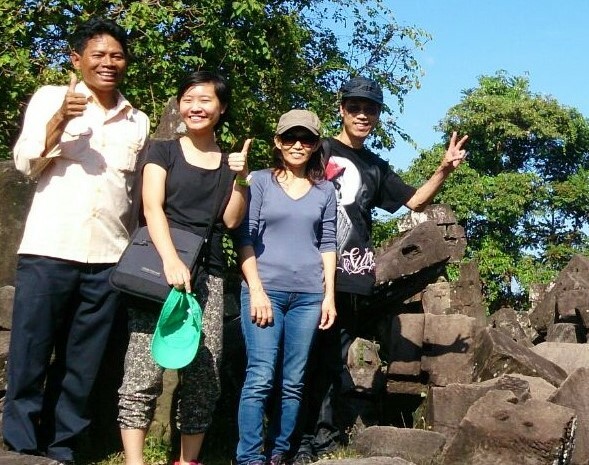 We went there with our guide San Park, who accompanied us for our trip inAngkor and preah vihear. I can only recommend him. He is very professional,with an extensive knowledge of temples' history, Hindu mythology, Khmercivilization. He knows all the good locations and the right time to visit eachtemple. He is also very friendly and likes to chat and laugh. Finally, thetariff he applies are very reasonable. 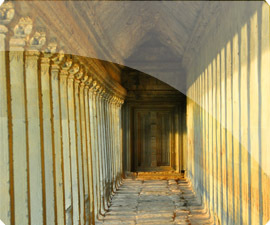 His website is the following: http://www.angkor-temple-guides.com/Home.aspx .Email: sanpark.angkor@googlemail.com. Just a quick message to say thank you for guiding me around Siam Reap and the temples. And for anyone thinking of hiring a guide whilst in Siam Reap I can thoroughly recommend Park San. Not only does he have a good level of English and the ability to explain the history and meaning of the different temples in the Angkor area but he can also tell you a lot about Cambodia's recent history and what life for Cambodians is like today. Went up to Prasat Preah Vihar today. It's an amazing much disputed temple on the border of Thailand and Cambodia. Perched on a high mountain overlooking both countries with views over to Laos. Amazing. Now belonging to Cambodia. Got driven there and shown around by the wonderful Park San. I can thoroughly recommend him as a guide if you ever come to Siem Reap. Our tourist guide for 2 days. Thanks Park San for been an awesome guide. Our journeyfull of fun and laugher.. Lols..
For Christmas we traveled to Cambodia. 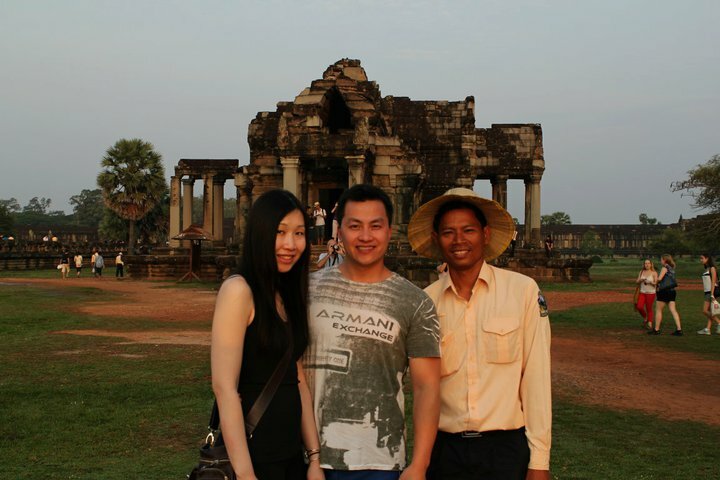 During ourstayed in Siem Reap for 4 days and San Park was our guide. He is very wellinformed and we thoroughly enjoyed his company. He was a fantastic guide andnot only gave us information about the temples but was very prompt about otherplaces as well. We also booked a private taxi from Siem Ream to Sihanoukvilleand from Phnom Pehn to Siem Reap through him.The taxis along with the taxidrivers were very good. His English speaking skills are very good. I woulddefinitely recommend him as tour guide! 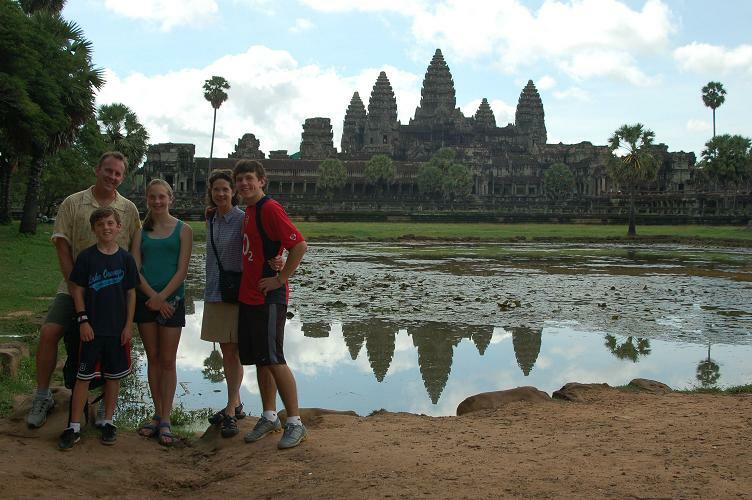 We had a wonderful time thanks to your guiding us to all the beautiful temples of Angkor Wat in early December. I tried posting a TripAdvisor review for you in December but it would not let me set up a new name (under a person). Can you set up a company Angkor Travel Guides on TA so that I can post a review? There is only one other tour guide company on TA. I am referring to you a couple, Dennis and Mary, who will be coming to Siem Reap for a few days in late February. They are likely to stay at the same hotel - Le Meridien Angkor. Mary will contact you soon to make arrangements with you for a car, driver and you as their guide. Hope that you can help them with advance notice. We are so happy to have met you. Thank you for an enlightening experience. Hope your two boys and wife are also fine. 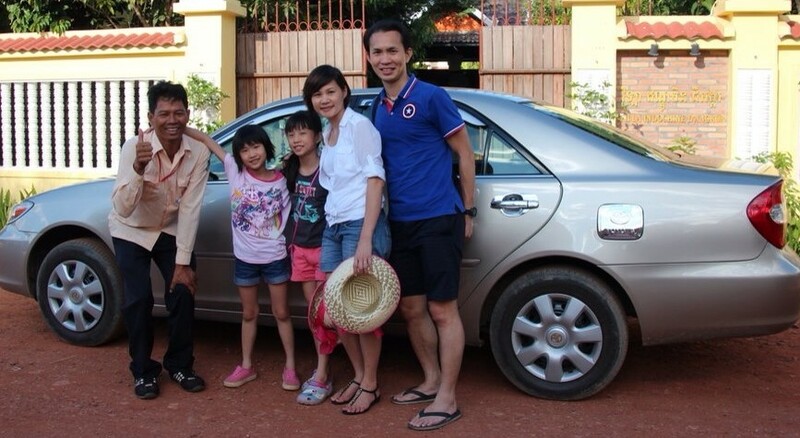 Experienced a two day tour in Siem Reap (dec 2014) with tour guide/driver Mr San Park, who was recommended by a friend. was glad to have hired him as he proved to a great travel companion. Being an experienced local guide, San Park is knowledgeable about the sites and can customize the itinerary to your interests. Besides, he is patient and humorous too, making the trip fun and enjoyable. Through interactions with him, find him a kind and sincere person as well. He is happy to serve solo traveller sand groups of up to 20+. Thank you San Park for your kind hospitality and great guide services! We definitely enjoyed exploring Siem Reap with you! What's your son's Facebook account, anyway mine is Tay Man Zhi, just feel free to add if u like us to tag you in the photos, cheers! Our guide San Park is very good , speak very well English. He knows the temples very well. he’s also a very good driver. Tell ’s a lot about the Cambodian life style. Our group of six really enjoyed the nice service that we got on the day we took our tour. Your knowledge of the history of Cambodia and the history of the Angkor Wat etc etc was extremely informative. On top of the good service, the good price that we got was just fantastic. We would definite recommend your company's service to our friends who will be travelling to Cambodia. Once again, we thank you for your nice tour and the expert driving by the driver. The tour air-conditioned vehicle was also extremely clean and comfortable - a first class operation. Man Hin Lok et al from Ottawa Canada. I received a personal guided tour from San over the course of 2 days to several temples. He was always on time and his car was very clean. He was very laid back and offered to take us anywhere we wanted. He went above and beyond what I expected in a tour guide. San's customer service was spectacular and he showed us many things that most tourists probably never see. He has great knowledge of Siem Riep. I would highly recommend contacting San for a tour of Siem Riep and all of the temples. Thanks San! February. San spoke very good English and had a great sense of humour which made the three-hour drive from Siem Reap go by in a flash. This was large temple complex built high up in the hills which is accessed by trucks or scooters from the tourist office. Especially interesting are the remnants of the border conflict with Thailand such as bullet holes in some of the pillars and bunkers built around the temple facing the border. There is a large presence of soldiers who were all very chilled out. Go while the entrance is free as they are trying to attract more tourists. San's website is www.angkor-temple-guides.com or he can be emailed on sanpark.angkor@googlemail.com or reached by phone on +855-12-788-354. Thank you so much for giving me a very kind and nice tour guide, he is very prompt and very polite. He is also very good in helping me taking good pictures, he became my personal photographer. He is very good in taking good pictures. He never gets tired of bringing me to beautiful temples and also very knowledgeable about the details of the temples. I highly recommended him for a very good service. Next time I will visit Cambodia, I want to take him again as my tour guide. When the tuktuk driver did not show this morning for the sunrise at Angkor Wat, Tholrithy arrived at the hotel at 4:00 in the morning and he took me to Angkor Wat using his personal motorcycle. I was able to watch the sunrise at Angkor Wat and collect more than hundred beautiful photos of the sunrise. I cannot thank him enough for the extra service he done for me. Again, I highly commend Tholrithy for his excellent service! I had a tour with your tour guide and your brother on the 1st and 2nd of June. 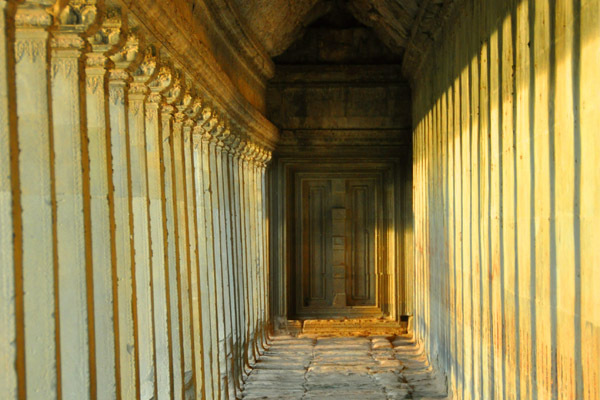 know travelling to Angkor temples. Magnificent view from the 5th level! The dropoff is not fenced and there is no barrier of any sort, so please be sure of your footing, as it is an 800 meter drop. Having seen many, many temples prior to Preah Vihear, it's not the best, although some parts and carvings are well preserved. I went with San Park, who has grotten good reviews by other travellers, and I was also happy with him. It turned out that two other people has booked him for the same day, so I ended up paying only USD 55, + 5 for the motoride up to the entrance to the Temple. If you take a car, it's USD 25, but there's really no need, as the road is absolutely fine asphalt all the way,but for about 10 meters or something like that. The moto waits for you, so it's USD 5 / return. Bring your passport, otherwise they will not allow you to buy a ticket. I don't recall the price. You can buy food and water up at the entrance area. Preah Vihearr is about a 3hr drive from Siem Reap and well worth the effort to get there. The drive is very pleasant as you pass through some gorgeous countryside on the way. We went with San Park who is a very safe driver, reliable, knowledgeable, has a good sense of humour and speaks good English. He can be contacted on: sanpark.angkor@googlemail.com. I would highly recommend him. Take your passport with you as there is no charge for foreigners (at the moment anyhow) to visit the temple. The return cost to go up to the temple is either $5 each on the back of the moto or $25 per group per ute. We were so glad we took the ute option as it allowed us to take wonderful photos as we wound up (and later down) the hill. I think on the back of a bike I would have been hanging on for dear life! You are also encouraged (by the driver of the ute) to buy a carton of cigarettes to hand out to the army guards on the way up the hill. This is a very strange thing to do but we decided to go with the flow and the soldiers were very friendly as they collected them. We spent 2 hours at the temple. I am not a huge historic temple person but this one is well worth the visit. Make sure you go to the very last level as just past this there is a brilliant view out into the valley and Thailand. The temple is spread over several levels and is long and narrow (nearly 800mtrs long). There are also quite a few lovely shady spots to sit down and have a cool drink (sold by several vendors there) if you need. 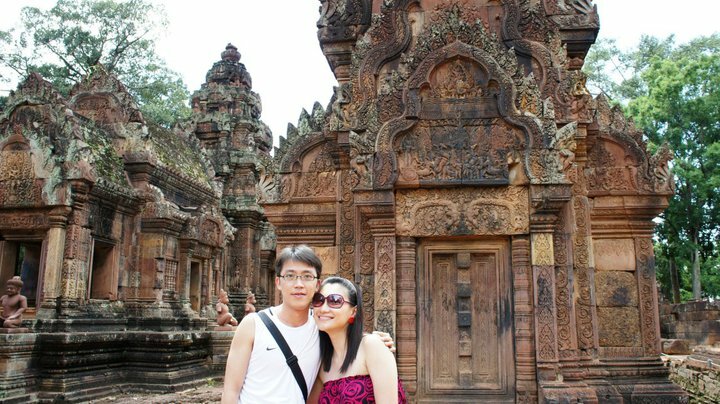 Feb 21, 2013 - Mr. San Park - excellent Siem Reap tour guide. BETA ... His E mail is sanpark.angkor@googlemail.com .... Wat in 3 days May 22, 2014; Siem Reap May 22, 2014; Blog trip report with pictures January 8-19, 2014 May 22, 2014. God bless you always Mr. Park! In January 2013, I visited Siem Reap. Through the recommendation of a friend, I requested the services of San Park to take me to Angkor Wat and other places of interest. I had only two days to visit, so was limited on the number of places to go. San Park customized my itinerary to cover the most important aspects of the region. I can honestly say that San Park is the BEST guide anyone could hire! From the moment San Park greeted me at my hotel, he was friendly, professional and extremely knowledgeable. With his extensive background of the sites, he knew exactly where to take me to see highlights of Angkor Wat and the various temples. I am an avid photographer and very much appreciated San Park's suggestions on the best place to take photos. We also traveled to Tonle Sap, the Floating Village, where I was fascinated by the houses on stilts, the floating homes on the river and the culture and everyday life of the people. Needless to say, I was snapping photos left and right. During a meal, he introduced me to local dishes that were fabulous. Looking at the photos bring back many great memories of my stay in Siem Reap. I have recommended San Park to many of my friends, one from Paris who subsequently hired him and raved of his services. I could not have asked for a better guide. His website is www.angkor-temple-guides.com/home.aspx. This was one of the things I knew I reallywanted to see when I was in Cambodia and I was not disappointed. In advance ihired a guide (Kheng Yon) and car/driver and did a 2 day trip (stopped to seeBeng Mealea and Koh Ker temples along the way as well as eating in villages andstaying overnight in a town near Preah Vihear Temple). We went to Preah Vihearfirst thing in the morning and we took the first truck up the mountain, so Iwas the only tourist there! (another truck was coming up when I was leaving). The road up is very nicely paved, but is extremely steep!!! The 4-wheel drivetrucks up have seats in the back where you ride and hang on! The have a big binof cigarettes so you can buy a carton to toss to the soldiers along the road. Iam not big on cigarettes, but it seems this is kind of expected, so that'sfine. When we arrived at Preah Vihear Temple, my guide, Yon, let me know that hewould not be allowed to talk to me while we were there, but he would fill me inat the end of the tour. 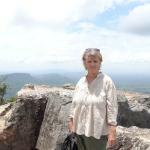 The people at Preah Vihear assigned me a local guideinstead, but they did not have any English speaking guides! Yon let me knowlater that they do this to keep the money local and because they believe thatlocal people know and understand the local history better. I did tip my localguide at the end even though i could not understand a word he said. None ofthis detracted from my experience though (if anything it was just kind ofcomical and let me really explore the temple on my own, which i prefer anyway).My guess is that with the huge increase in tourism there, eventually they willwork out how to better serve foreign tourists, but I kind of like it the way itis right now anyway. 1. the layout & location--it was built by multiple kings over centuries andstretches along the mountain top. The views are just beautiful. There is justsomething about a temple on a mountaintop that you can't beat. I forget whatthe Cambodians were always saying...something about it being the real home forthe gods or something like that. 2. the Military presence and history of conflict. There are soldiers and theirfamilies everywhere all over this temple. I wish i had brought more small bills($1) with me for tips, as i ran out pretty quickly and it is pretty expected totip. I didn't realize that a big part of the reason for this is that they makevery little salary from the government and life can be pretty difficult there.There are also people selling treats that you can buy to give them. Some of thesoldiers spoke some English and were friendly and asked where I was from.Overall, it gives the place a bit of a weird vibe, but I liked it and I neverfelt unsafe there. Guide: I have read on here that it is completely necessary to have a guide forthis trip. I disagree, I think you could hire just a car/driver, especially ifthey spoke English (if they didn't, you will have some communication problemsalong the way, but if you are adventurous, i think you could do it), BUT Ireally loved my guide and definitely think my experience was more full havinghim there. It was the only time on my trip that i hired a guide and so heanswered a lot of my questions about Cambodia in general and about othertemples and whatnot too. Yon was friendly and extremely smart and his Englishwas PERFECT and because we both are teachers, we had some great conversationsabout education in our two countries. I let him know i wanted to try all kindsof foods that I could, so when we were at restaurants (usually where no onespoke english), he would order me interesting things to try, which was great. Icould probably have managed on my own, but it would have been a littledifficult sometimes. Hire a guide way in advance and keep checking back to make sure you are stillbooked. My first guide I reserved ended up double booking, but refered me toYon, who was AWESOME and his price was really reasonable. If you want hiscontact info, feel free to private message me. Today I had a fabulous day with San Park guiding me through the Angkor Wat Complex. The place is just breathtaking, I was in awe of it's beauty and history. And to have the knowledge of San Park to guide me was invaluable. I hope I didn't ask too many questions! Thank you San Park for a great day and I look forward to our second day of tour. Thank you Robert for referring San Park. He is very professional, knowledgeable and funny! Attached is a photo of us and one of San Park at Angkor Wat. Enjoy! Have a good day Robert and a good evening, San Park. The Hindu carvings at the temple were wonderfully well-preserved, similar in detail to Bantrey Samre. The views from the top of the temple were also fantastic. While the temple itself was great, I think I enjoyed the 3.5 hr car drive to the temple even more. It was great taking a quiet drive through the lush Cambodian countryside, especially after navigating the crush of tourists at Angkor Thom the day before. When you arrive at the base of the mountain, you have the option of taking a moto (for $5) or a pickup (for $25). I'd recommend taking the pickup as there are some parts of the mountain that are super steep (though quite thrilling!). Based on the suggestion of another Tripadvisor reviewer, I booked the day trip from Siem Reap to Preah Vihear Temple through San Park at www.angkor-temple-guides.com. He did an excellent job explaining the mythology in the carvings and also has a wealth of knowledge about Cambodian culture. Due to the remote location, the soldiers and families stationed here are very appreciative of any gifts. I'd suggest bringing some small gifts like granola bars or nice pens for the children. I went with San Park to Phnom Kulen waterfalls a few daysago, which is about an hour/hour and a half drive from Siem Reap. the views toit alone were gorgeous enough, but "oh my buddha!" (as San Parkalways says) the waterfall is BEAUTIFUL. I think the people who have negativeviews only saw one- the smaller one. there are two. the small one has thecarvings in it, and the bigger one is a little trek down from there. and thebigger one is STUNNING, and as it is considered to be holy water and to bringabout "prosperity", we all took a long dip in it, which was fabulousin the crazy midday heat! you can borrow swimsuits, so don't worry if you don'thave one. an absoloute MUST!! and a nice change from looking at the temples(even though they are mind-blowing!). PS: the reviews of San Park are all true- he makes any trip 30000 times better!make sure you catch him before you leave your country. (info@angkor-temple-guides.com)his rates are really good, he is a super-knowledgeable, punctual, friendly, andsuper funny guy! I would recommend him wholeheartedly to anyone who is thinkingof visiting Siem Reap. I just want to thank you foryour excellent service. My tour guide Mr. Kheng Yonwas everything that a traveler / tourist could ever wish for when visitingAngkor. His knowledge, his kindnessand his patience with me, was just superb. I also want to thank theTuk-Tuk driver, I can't remember his name, but he is the best driver that I havehad so far here in Cambodia and I think that says a lot. I can honestly say that Iwill recommend your service to everybody that I know, if they are planning attrip to Angkor and that you can be very proud of your satff.
" We spent a week in Angkor. I had to take pictures from sunrise to sunset. Without San Park and his brother Yan's help, it was impossible. They are hard-working, patient and knowledgeable. The car was exellent and the driver Paul was great! 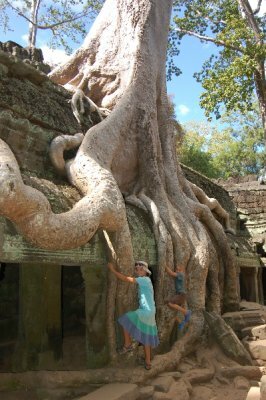 Charles T, USA, Dec 2013"
Thankyou for conducting a great tour of the sites around Siem Reap and Angkor Wat.We found your descriptions insightful, language excellent, and yourorganization efficient. You are one of the best individual tour guides that we havehired. We will highly recommend you to others that travel to Angkor Wat. San Park took me on a long day trip, which I would thoroughly recommend. We visited Kulen, then after lunch Beng Mealea and in the late afternoon Koh Ker. I booked the day with San Park on the recommendation of two friends who have visited Cambodia before, when he accompanied them for several days. My excursion involved wonderful places combining historical temples with beautiful scenery and at Kulen an active, exceptionally vibrant Buddhist temple with a remarkable Reclining Buddha sculpted from the top of a mountain. Kulen might appear to be a bit expensive ($20.00 per visitor on top of the guide fee and transport) but it was such an enjoyable excursion, it was well worth the price. You also have to pay $5.00 entrance to Being Mealea and $10.00 entrance to Koh Ker, again well worth the visit. San Park is incredibly knowledgeable and was the best guide one could wish for, answering all my questions and providing me with more information as well. He is very busy so unfortunately was not able to act as guide for me on my other days around Angkor - I would recommend you reserve a day with him as soon as you know your itinerary. I visited Siem Reap in mid February and got in touch with Mr. San Park through his email and set up two dates with him a couple of weeks before my arrival. I asked that he drive me around the Angkor Wat temples, but opted out of the walking guide, the fee for just the driving was $25 usd, but it included insurance, in a nice air conditioned car. Even though I opted out of the walking guide, Mr. Park provided interesting bits about the temples as he drove me from one to the next. The next day I arranged for him to drive me out to one of the floating villages about 30 minutes out of Siem Reap city. Again, during the drive he was able to provide first hand information about the things we were seeing along the way, but not once did overly talkative. I'm a quite person and prefer taking in the sights rather than talking about them in depth, and he did a great job picking up on that and didn't make me feel uncomfortable whenever I just wanted to be quite and take a look around. As a female solo traveler, I definitely felt comfortable traveling with Mr. Park, and really benefited from his time and knowledge. Definitely recommend him to others who are looking to travel in more a little more comfort than what the Tuk Tuks can provide (which if you're traveling to the floating villages I definitely recommend going by car not Tuk Tuk, as the road is mostly unpaved and very bumpy along the way). We stayed in the hotel sectionfor five nights and were very pleased with the accommodations. The roomsare very clean and are situated around a small pool with chairs and towelsprovided. Breakfast was good and filling. The location of the hotel isexcellent; it's in a quiet alleyway about a 5-10 minute walk from the center oftown. The only inconvenience is that they do not provide a PC with internet foruse of the guests. We hired an exceptional guide for Angkor Wat and Tonle Sap, Mr. San Park,sanpark.angkor@gmail.com. His command of English is excellent as is hisknowledge of the history and architectural details of Angkor Wat. The cost for driver,guide, and air conditioned car was $50/day. Having a car rather than a tuk tukif you can afford the extra cost will allow you to get to the temples quickerand spend more time there. 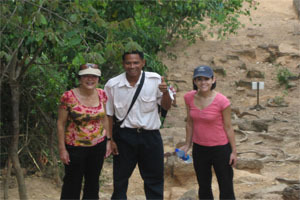 Jan 02, 2012 · http://www.angkor-temple-guides.com/H... San Park is an official Tour Guide for Angkor Wat. He can arrange all your travel and tour needs when visiting . Angkor Temple Guide Private Day Tours: Mr. San Park Tour Guide- See 234 ... 161 candid photos, and great deals for Siem Reap, Cambodia, at TripAdvisor.